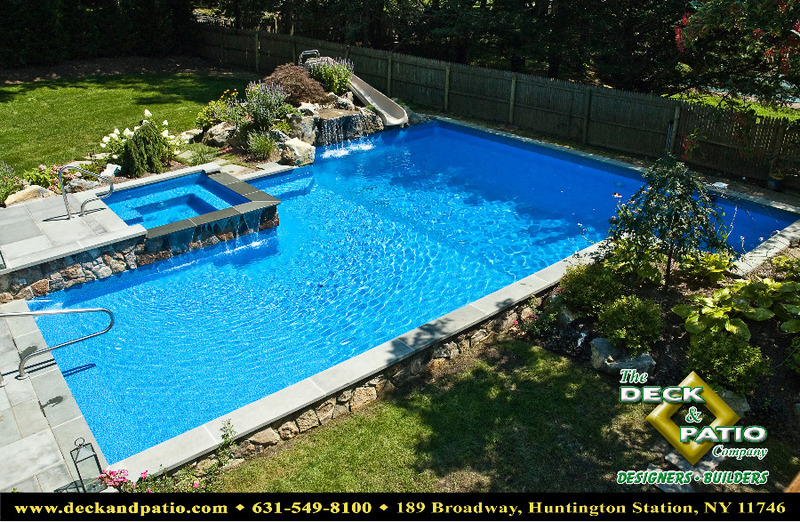 Why are some pools and spas gorgeous and some seem so lacking in panache? 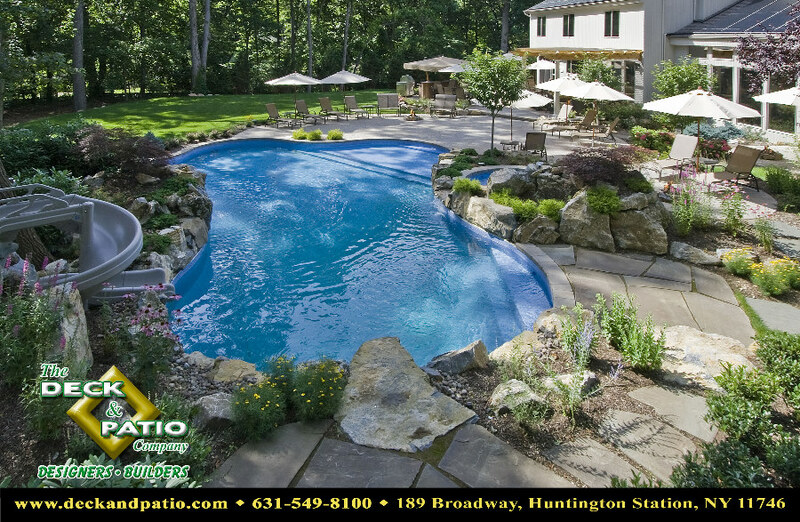 The answer lies not only with the pool, but with the surroundings. 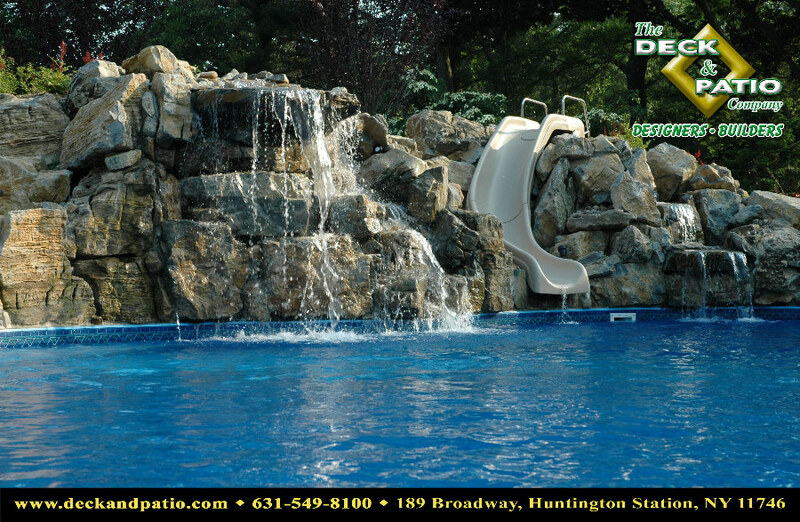 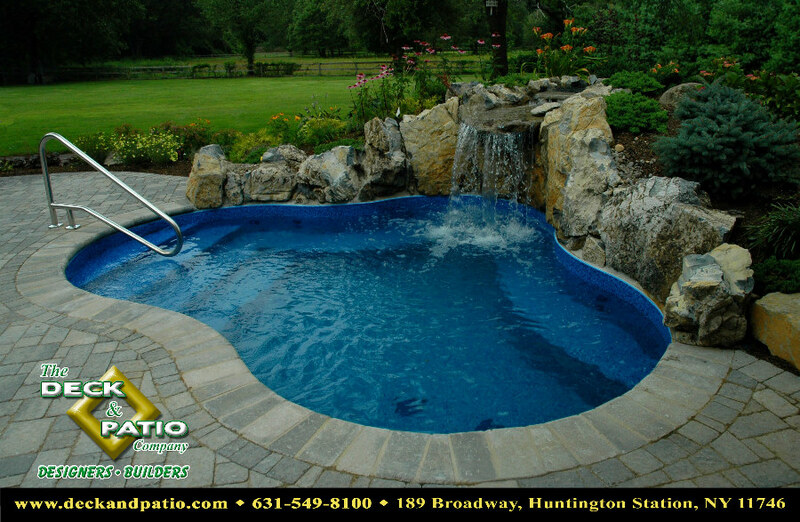 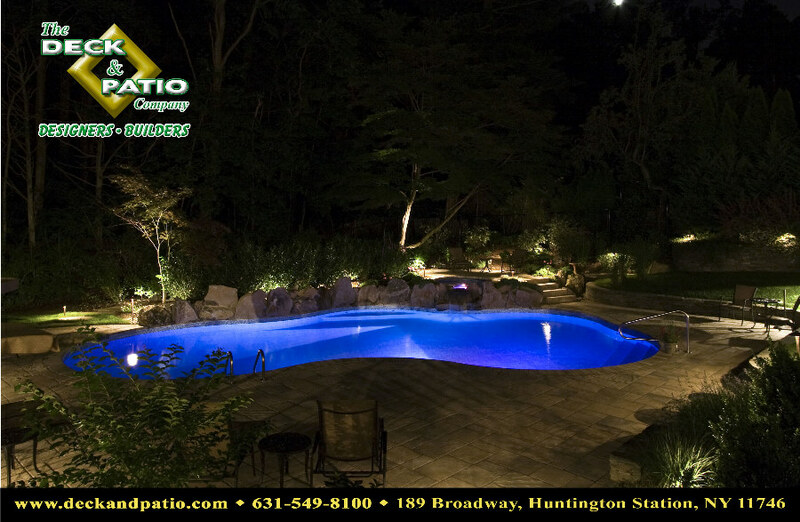 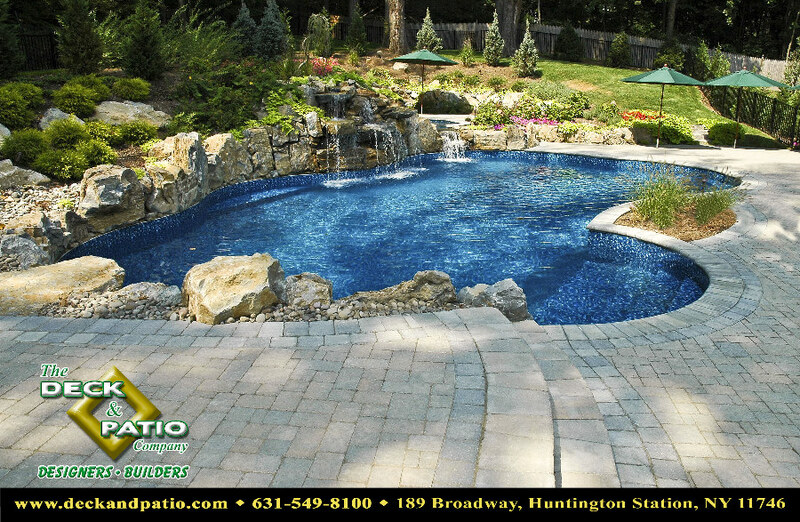 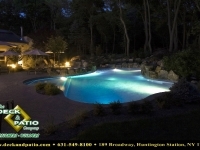 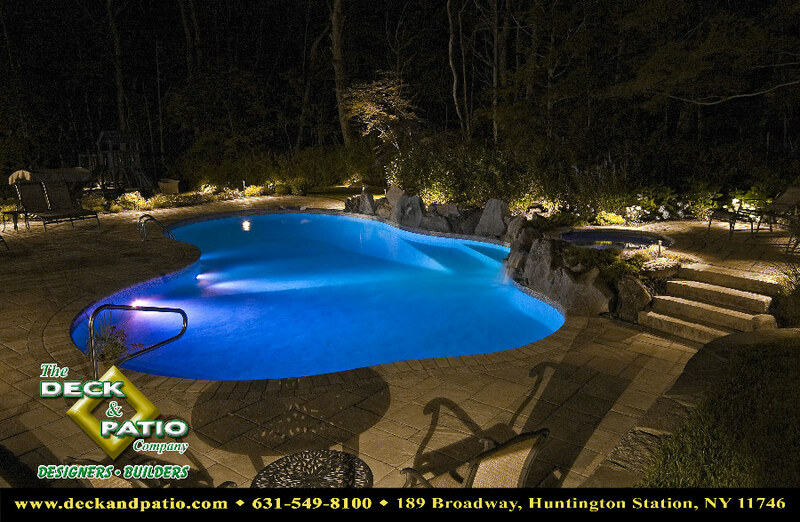 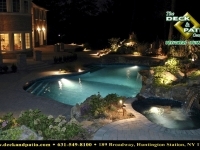 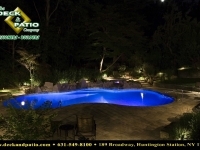 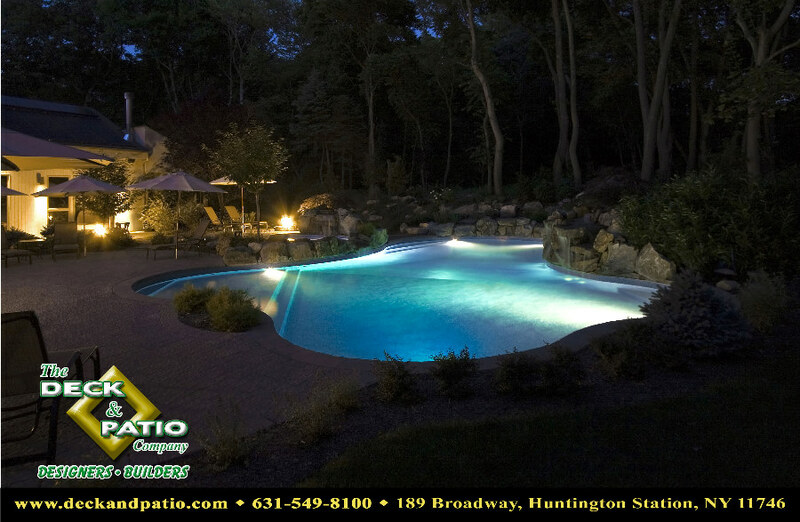 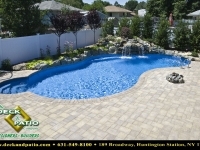 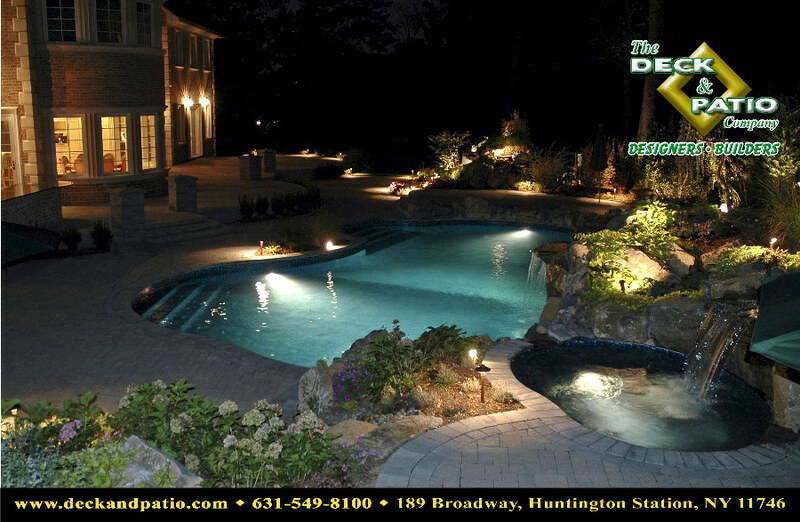 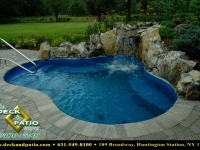 The harmonizing of elements creates a breathtaking environment drawing much deserved attention to your pool or spa. 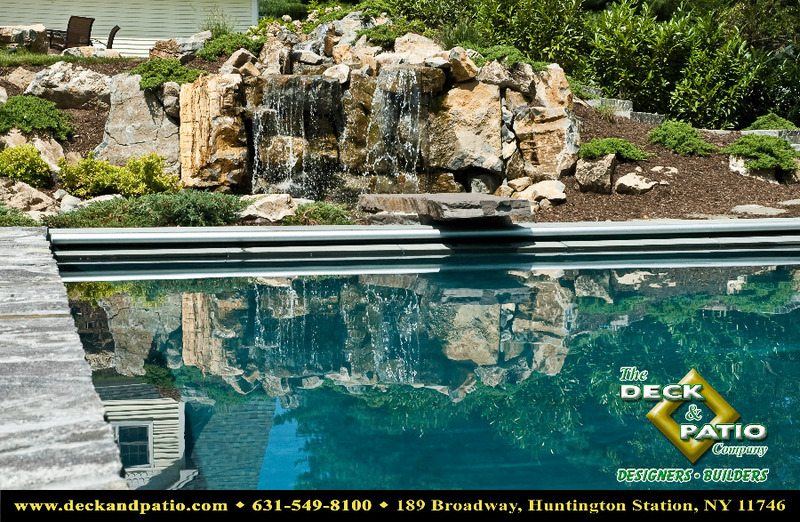 This does not happen by accident. 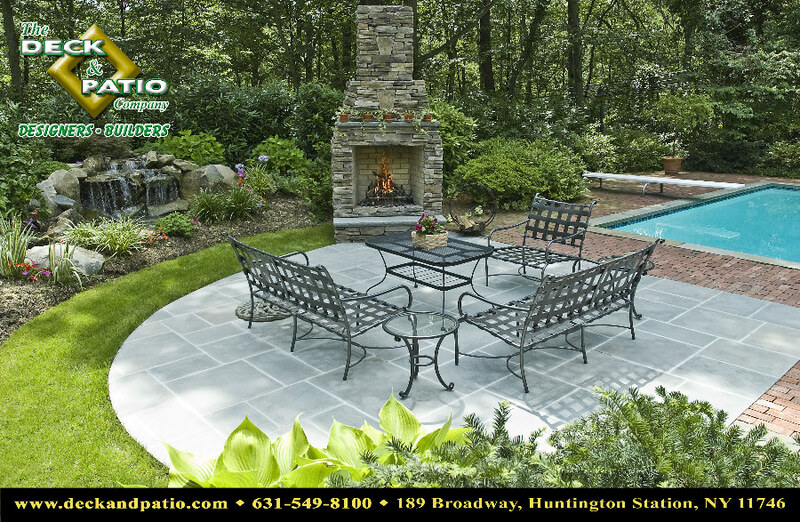 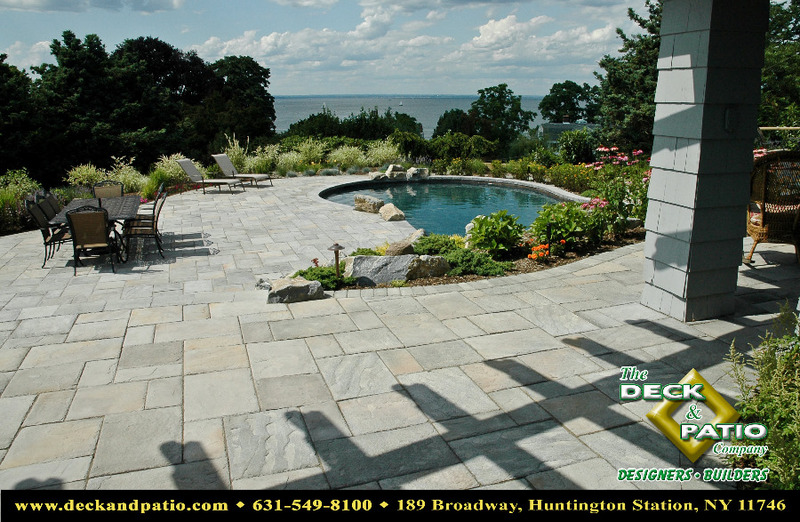 Integrating water with its hardscape and landscape environment are some of the essentials in working towards the goal of gorgeous outdoor space. 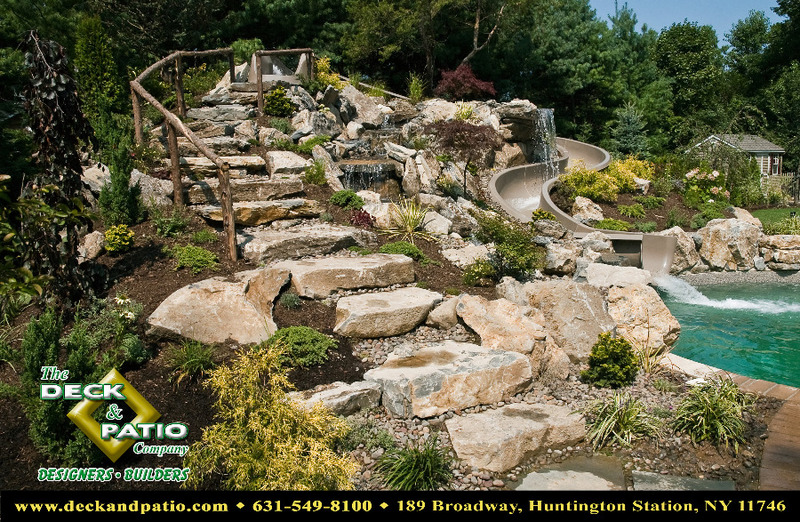 Some other key features for your custom design are vistas that are created from different areas around the pool, garden paths between patio spaces and giving water features a more natural feel through the use of moss rock boulders. 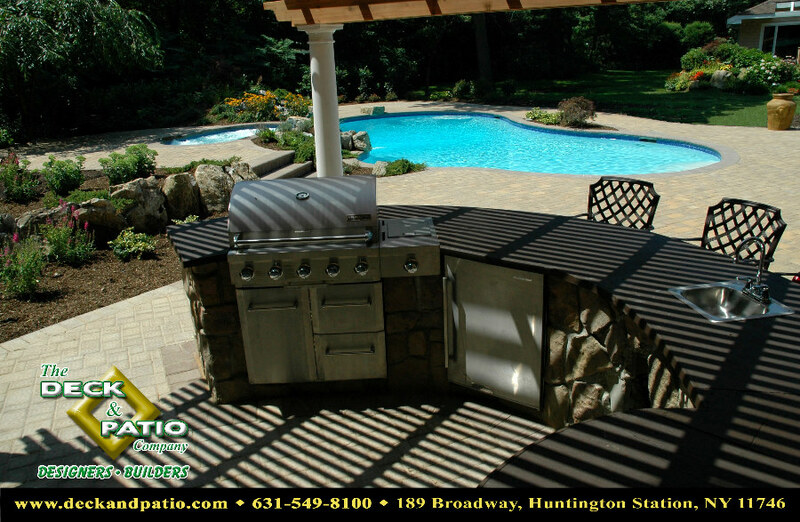 The Deck and Patio Company’s designers are passionate about your lifestyle and work to accommodate you accordingly though design enhancement. 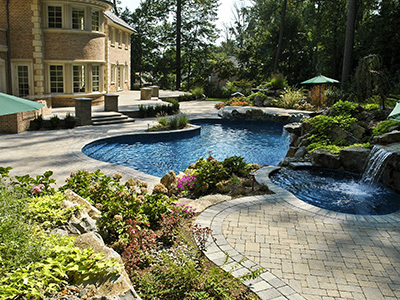 Only a well thought out design can provide the essential elements that integrate the water and land into a pleasing whole. 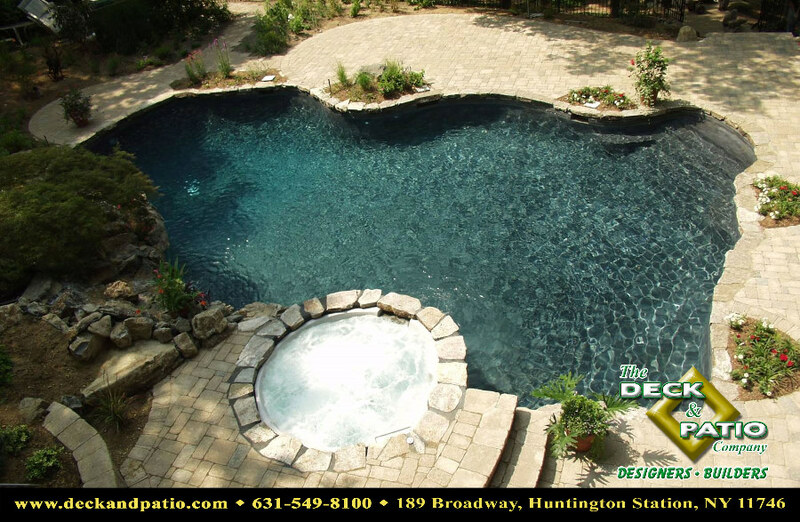 Browse through the Portfolio Gallery below to get some ideas and inspiration for your pool project. 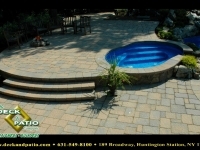 The Deck and Patio Company not only pays close attention to details seen by the naked eye, but beneath the surface your newly installed swimming pool has been given the benefit of RCA backfilling. 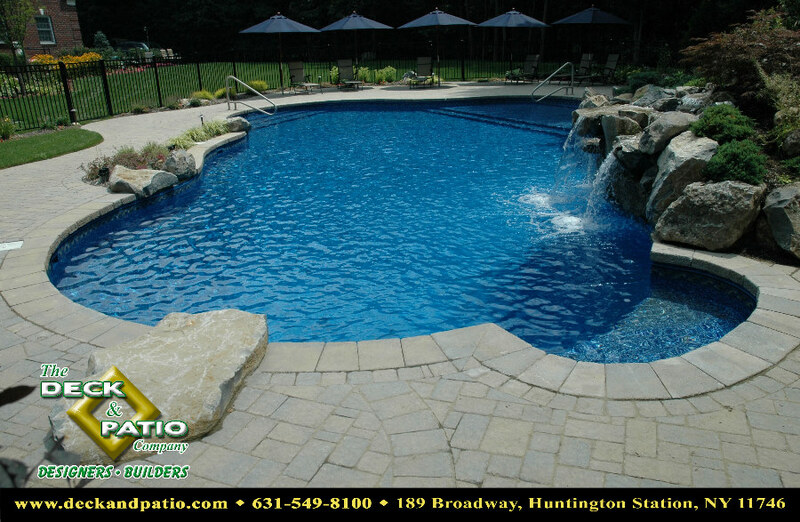 This process known as FAST TRACK POOL INSTALLATION allows our artisans to lay their patio immediately after their pool has been installed without the possibility of settling occurring. 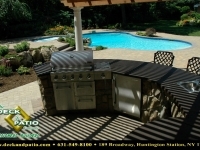 A fine eye for detail and striving to resolve challenging site conditions with a creative and beautiful solution will always be the goal of The Deck and Patio Company. 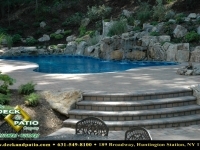 As you can see by viewing our portfolio, the quality of our work speaks for itself. 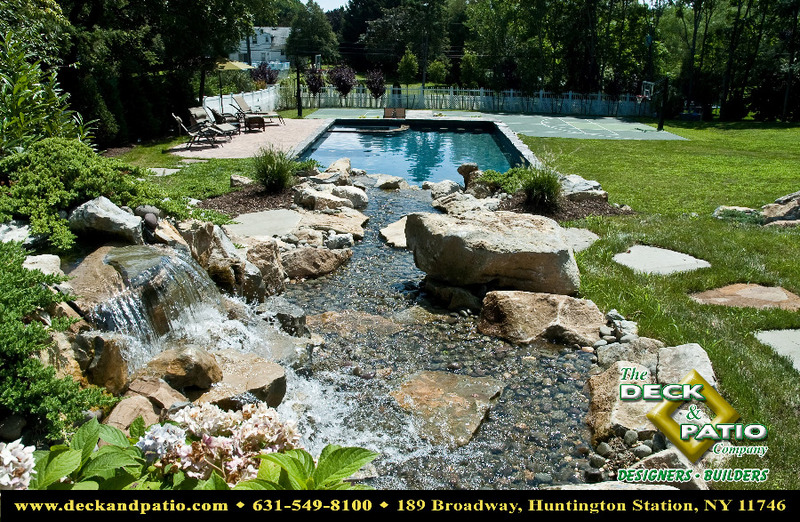 We have not only provided clients with exquisite settings, but enhanced some of them with waterfalls, landscaping, spas, and a variety of other treasures. 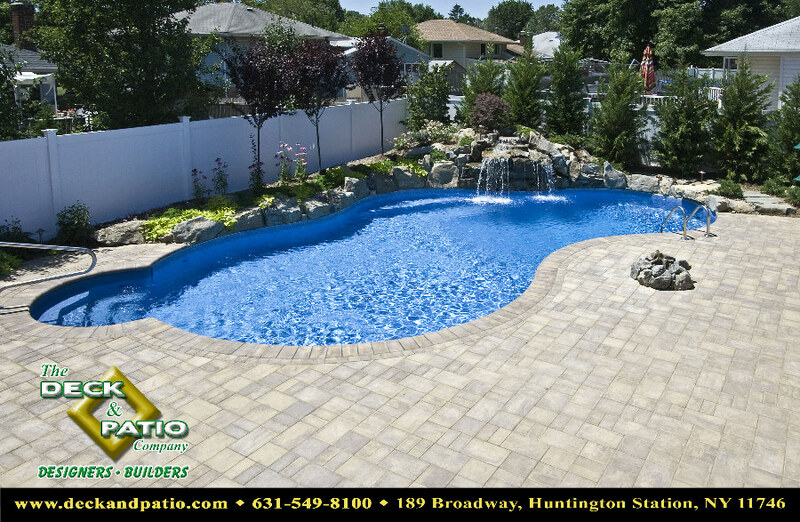 Let us listen to your needs and wishes so that we can customize a layout that will provide you and your family with years of pleasure. 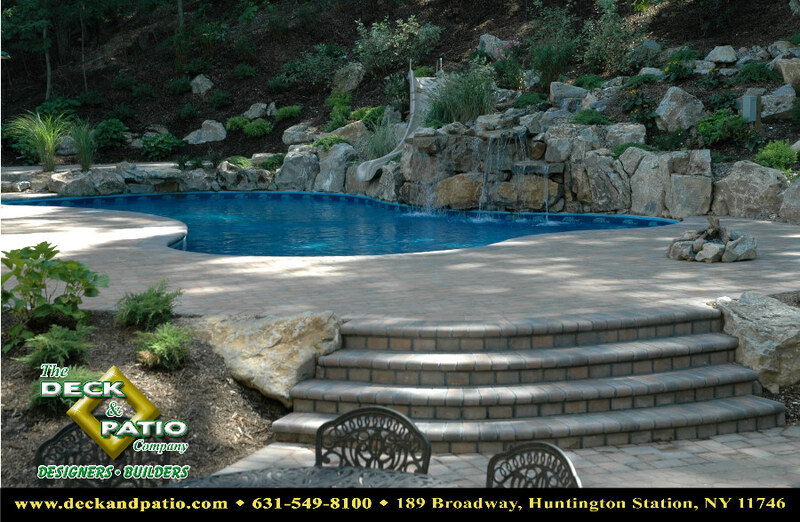 Call or email Deck and Patio for a consultation. 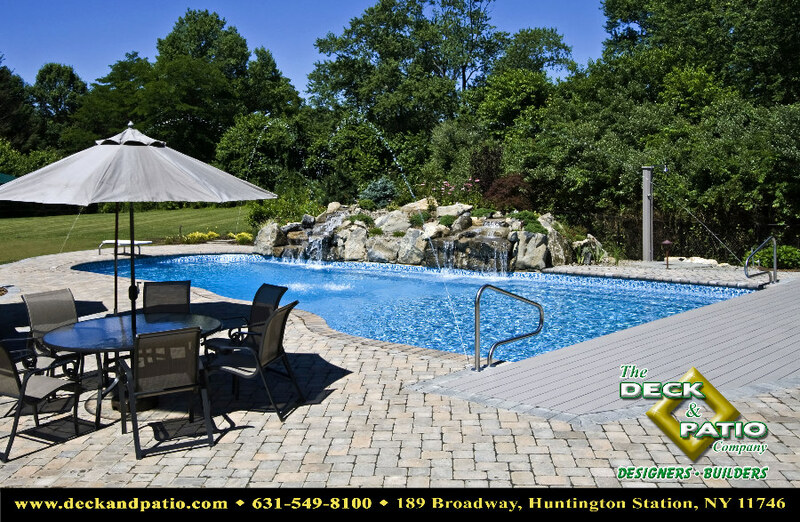 The Deck and Patio’s experience and knowledge, gained through years of working with sited of varied degrees of difficulty, are what we bring to your design challenge. 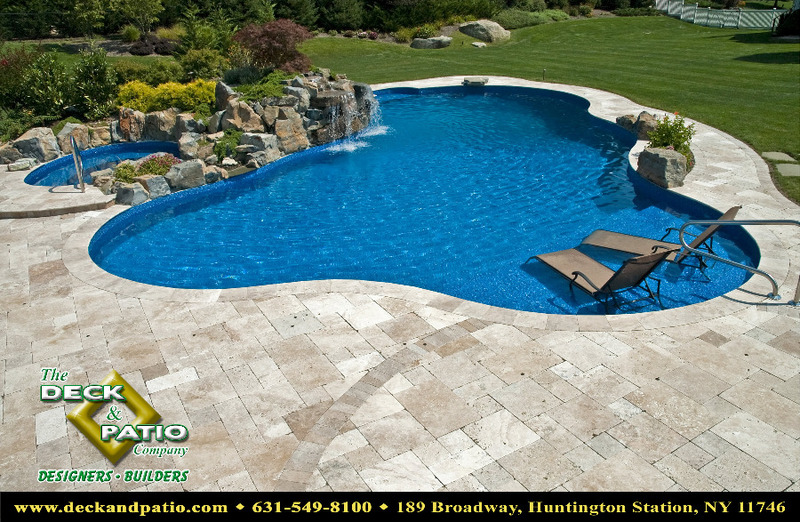 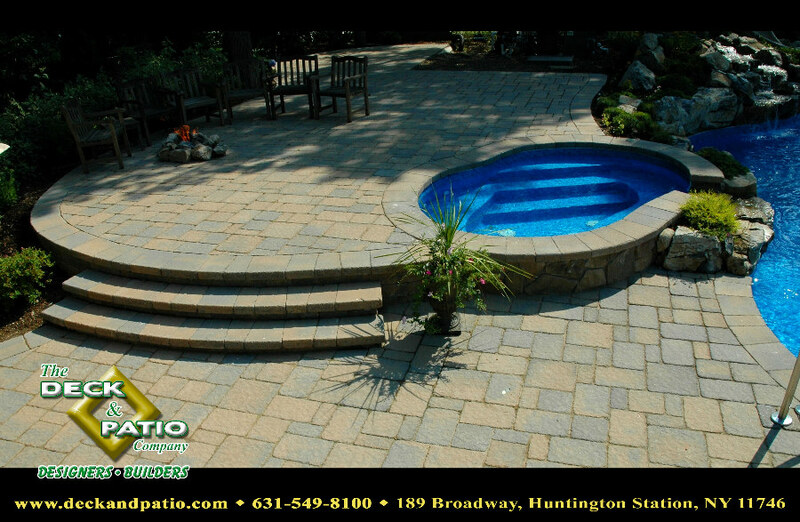 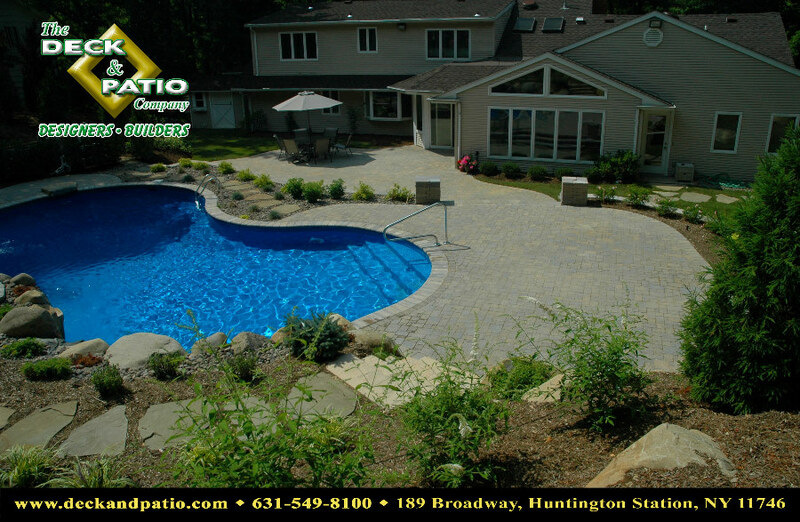 A series of raised patios and stairs are often employed to compensate for a yard with a steep slope enabling the homeowner to have the pool environment that they thought would be impossible. 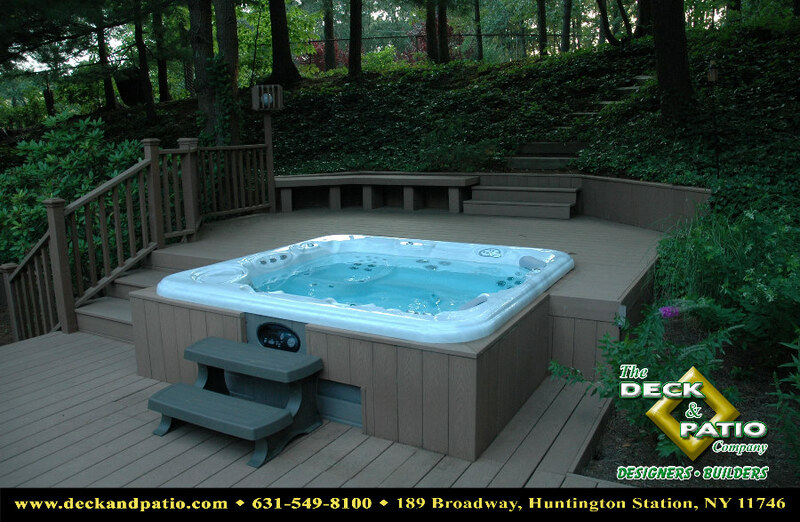 In the cases of a small yard, we’ve suggested the idea of the “SPOOL”, a small spa pool. 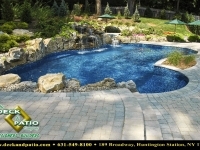 We use design enhancements to accommodate your lifestyle, such as setting the pool off to the side instead of in the center to give the homeowner more grassy area for children to play, colored skimmers and returns to blend in with the liner of the pool, and creating outdoor extensions of the home such as outdoor kitchens and lounge areas. 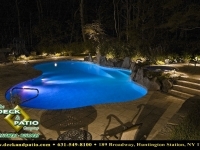 Embedded umbrellas and natural gas campfire add a resort feeling while incorporating a diving boulder and moss rock waterfall brings natural wild settings to an outdoor hideaway. 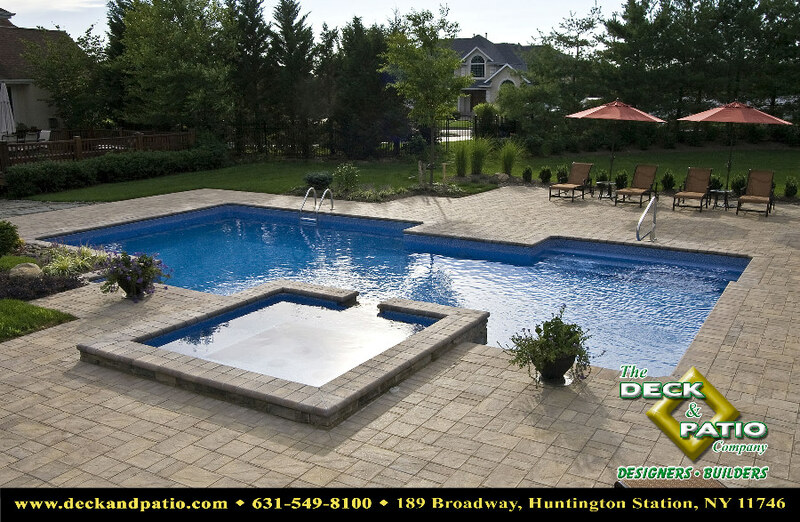 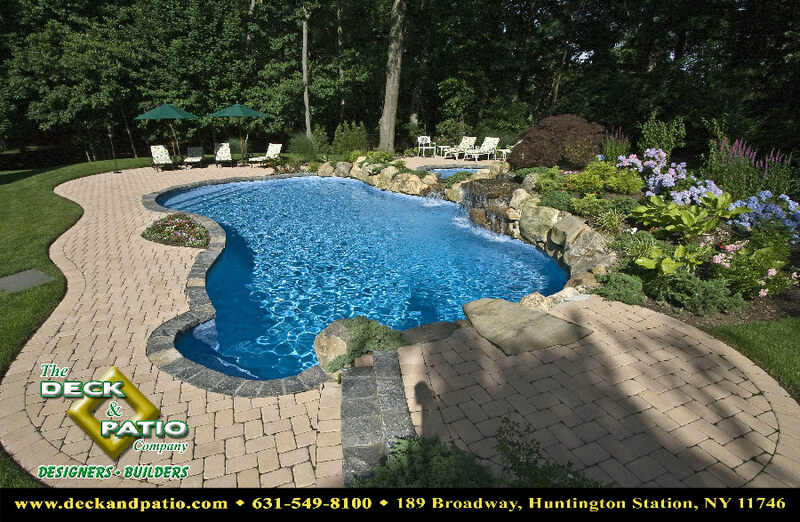 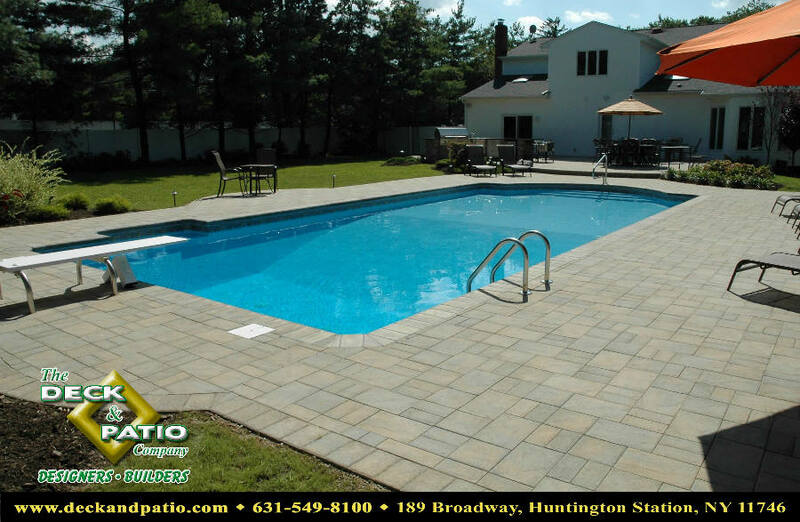 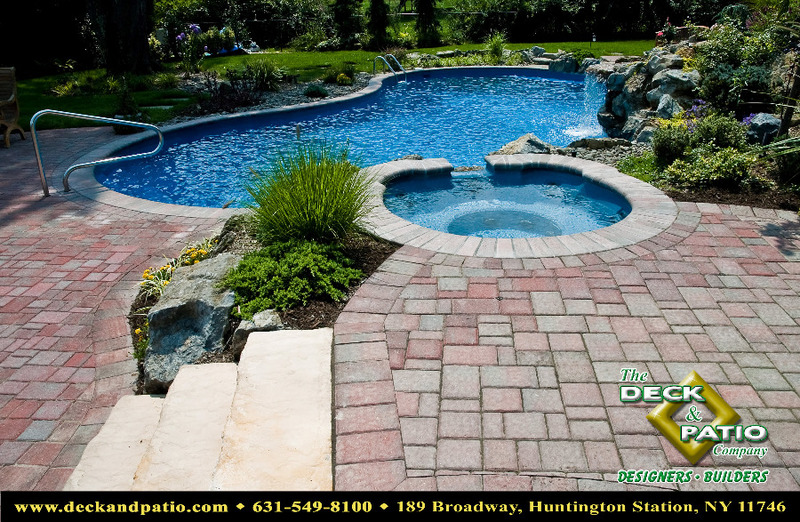 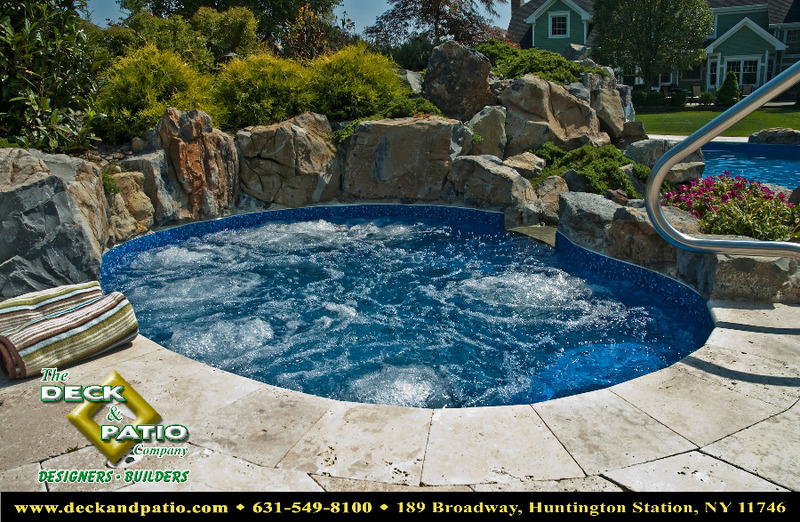 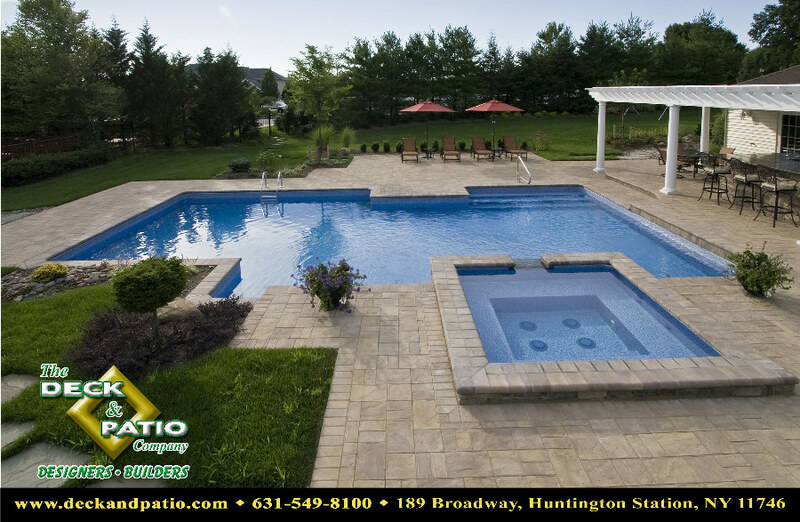 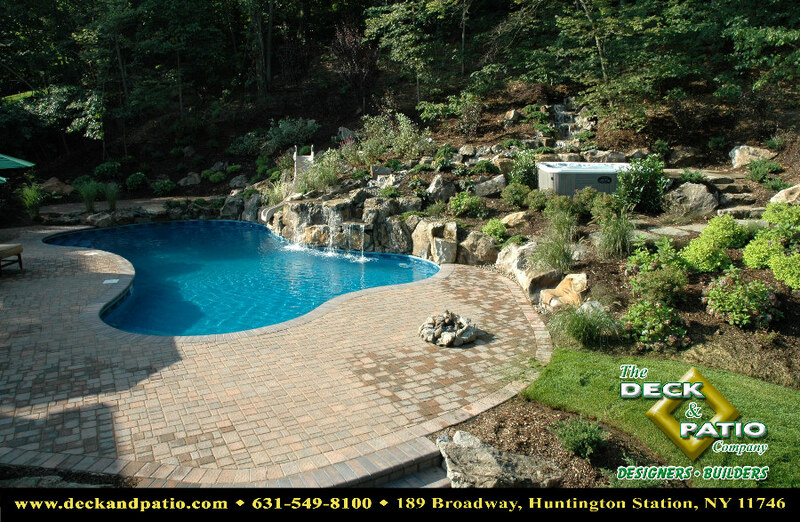 Complimenting paving stones, bridges over pools, and colorful landscaping are just a few finishing touches that we use to allow your pool or spa to become that relaxing haven away from the real world.